I have been studying senior caregiving with particular emphasis on caregivers in the workforce. I have developed the Grace Senior Inventory (GSI) so that caregivers may determine their loved ones’ most immediate needs. These usually center around transportation, grocery shopping, housework, taking meds, and money handling. Special topics include when to take the car keys and restrict check writing. 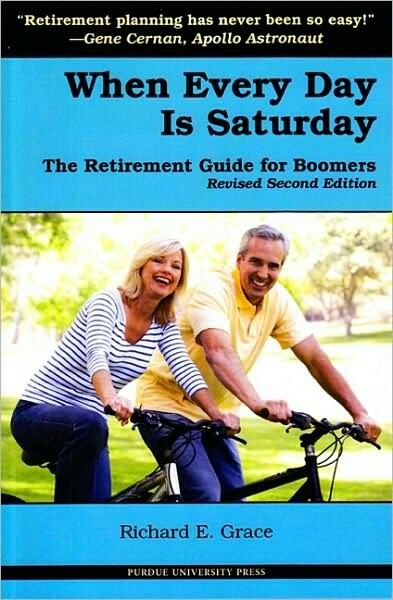 I have studied attitudes about retirement and the accompanying transitions which occur around the time of retirement. Seven hundred retirees helped me define the Grace Retirement Inventory (GRI). The inventory explores six domains which determine eventual happiness in retirement: freedom and leisure, financial independence, separation from work, family and friends, health, and helping others. In recent years my wife, Connie, and I have added our chapter to our family genealogy. For sixty years we have been the scribes of all family births, deaths and everything in between. In 2015 we published Grace Family Tree 1825-2014. This Amazon e-book documents the birth of our first great grandchild, Regan Louise Zielke, in 2014. In 2016 we continued our research into Mid-Century Modern American Architecture. We published an archival biography, Robert J. Smith, Architect, the architect who designed twenty residences in West Lafayette, Indiana between 1955 and 1972.